How to take off henna from the skin safely? 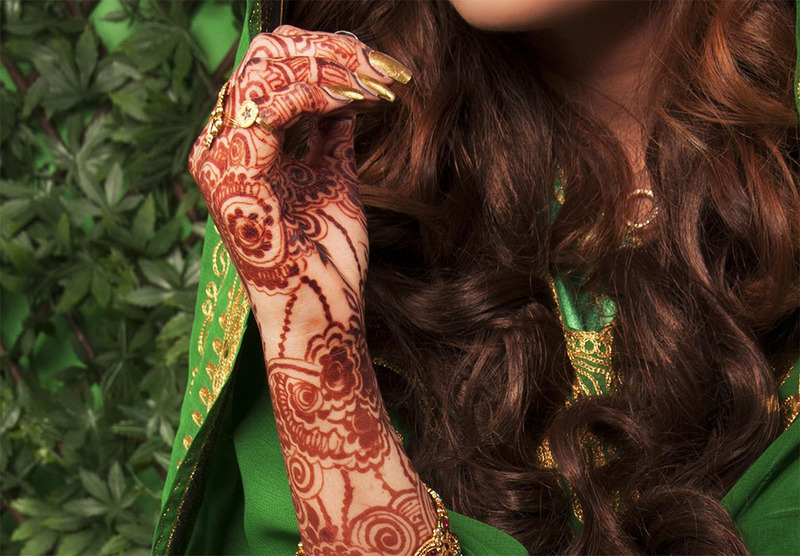 Henna (Lawsonia inermis) is a plant most commonly known as a source of henna dye. The dye is used for creating short-lasting tattoos that can make the body look impressive. They last for 14 days, and they are present in the upper skin layers. If you want to remove them in less than 14 days or to completely remove the temp tattoo, you should use some of these methods. If you want to know how to take off henna as safely as possible, use this method. Apply the baby oil and leave it on the skin for a couple of minutes. Rub the skin with the baby oil and a washcloth. Rub it for 2-3 minutes, and you will notice that the tattoo will start to peel. Applying the baby oil in a circular motion is recommended. This is another safe way to remove henna from the skin. Use it every time you have a shower. It may be time-consuming, but it will gently remove a tattoo without irritating the skin. Tip: This method is perfect for individuals with sensitive skin. Use a cotton ball paired with hydrogen peroxide. Rub the tattoo for a few minutes and repeat the procedure a few times per day. Generally, this is the most used method, and it is safe as well. It is also one of the quickest. The tape in question is very strong and has powerful suction. This method should be used only if the tattoo is on the part of the body where there are no body hair! In essence, apply a small part of the tape on the tattoo and gently pull it off. Repeat the procedure until you remove the entire tattoo. Using medical alcohol will remove the tattoo, but it is going to sting a bit. Here we have a method that is generally safe, but one of the quickest. For tattoos which are located on parts of the body where sensitivity is less present, this may be the best alternative. Mix salt and water in one cup. Apply the mixture to the cotton ball and then to the skin. Leave it like that for 20 minutes and then rub it off. Depending on the size of the tattoo and the location, you may need to repeat the procedure a couple of times. Cut lemons into pieces and mix them with baking soda, making a paste. Apply it on the tattoo in a circular motion and wait for 10 minutes. Once you are done, wash the area with warm water and repeat the procedure if necessary. You will want to moisturize the hands and the area where the tattoo was.